December, January & February 10 A.M. to 4 P.M. 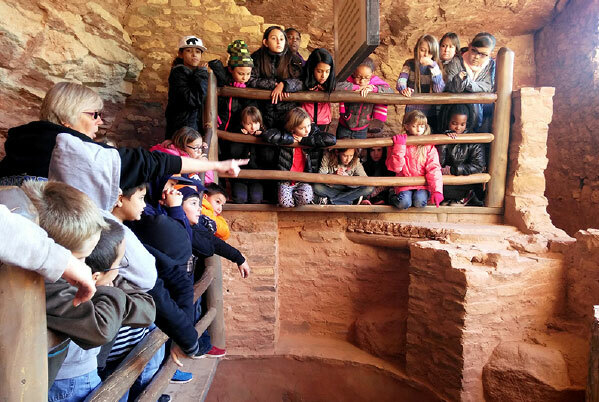 Imagine immersing your school class in the tactile, physical environment of the Anasazi. We’d love to arrange a school tour for you. We can customize the tour to your budget and your time schedule. And every student will get a study guide. Do you visit the Cliff Dwellings more than once a year? Then you should have a Season Pass. 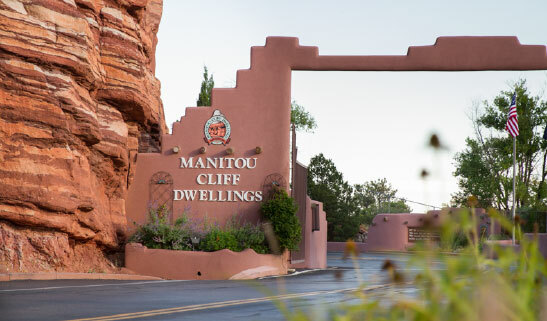 With a regular admission plus a charge of $10.00 for adults and $7.50 for kids you can enjoy a full year of admission to the Manitou Cliff Dwellings with our Season Pass. You can buy a Season Pass at our Gift Shop and we’ll mail it to you. You will also receive 10% off gift shop purchases with your season pass card. With a regular admission plus a charge of $10.00, you’ll pay no gate admission from November 25 through January 5 with our Holiday Shopping Pass, and you’ll enjoy a 30% discount on all your purchases!